After you have set up a website or page for your business, what do you do next? Do you let your website/pages to wait for traffic to flow to it? You can use social media to advertise your pages that work as a vehicle to build your business online, but it is not good to sell directly from your social media pages. It is because people or your potential customers want to interact with you. If they feel your webpage have some interesting information or you can provide them with the better tips and advice, they surely want to contact you. But they will soon get fed up if you try to sell your services to them directly. So, important is to engage them. But, what you need to do to engage with them? Be Specific - Your social media message should be clear and well-defined so that everyone can understand it clearly and have a basic knowledge of your business. Set Achievable Goals - Make sure that you choose a realistic path for your goals achievement. Be Realistic - Take time to gather the resources for your social media marketing, also make correct use of knowledge and time. Complete Your Task in a Timely Manner - Give your task enough of the time to achieve the best standard of online marketing. Depending on the size of your business you can determine how much time is required to keep your pages on the top of your social media. Until the client’s engagement begins to develop, it will determine the amount of time that is spent on social media. How will the Program be Executed? 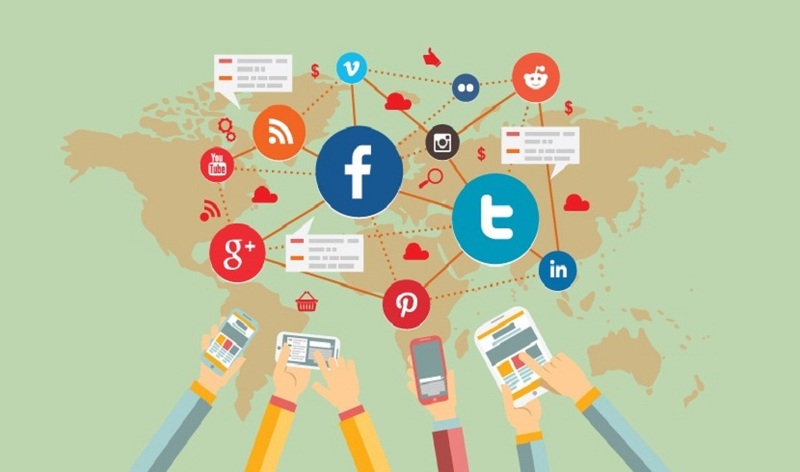 First, you have to decide who will manage your firm’s social media program. This is not easy an easy task that everyone can handle. There are many good tasks that are required to make this point. The fact is that it is very hard to change the mindset of your customers on social media. Make sure you do not assign this job to a novice! It must be offered to at least a mid-level marketing person, with some good experience in handling social media activities. This individual will be responsible for scheduling and writing content for your web pages. It is also important to have an up-to-date website and blog site, as this is the best way to ensure you always have a good web presence and ability to 'deliver' to others about your business and services. In the online marketing terms, these techniques are often referred to as your foundation for your online presence. A website is something that can be easily updated with new information and the same applies to blog sites & web pages. The updating of new content on your site can also help increase your website's rankings on search engines and help people find you online easily. Your visitors can also comment on your blogs & web page content, make sure you allow a two-way sort of conversation. Without a doubt, social media can give you thousands of dollars in marketing, provided you use it correctly. There is so much to learn about social media marketing and there is huge room for thinking out of the box. So, always be creative and unique from others, so that your marketing stands out in the market. By doing some research about your marketing goals on the different platforms that are available to you, you could make a fantastic and powerful social media presence for your brand.